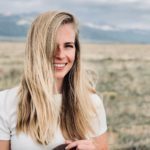 Valentine's Day Gift Guide - Shane Co. Even though February 14 is right around the corner, you may not know exactly what to give your valentine this year. Finding the perfect gift isn’t always easy, but luckily we’re here to help. Let us give your valentine a little extra sparkle this year with pieces from our Valentine’s Day collection. From stunning silver to glittering gold, these pieces will remind her just how much you love her each time she wears them. With quality made to last a lifetime and designs as unique as love itself, you can’t go wrong. 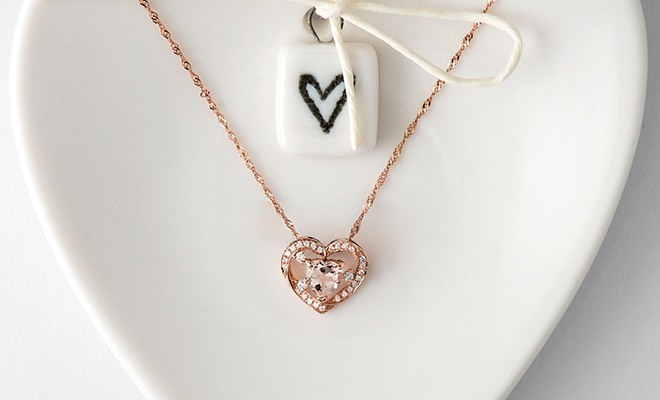 Her eyes will light up when she unwraps this romantic heart pendant featuring a heart-shaped pink morganite gemstone in the center. 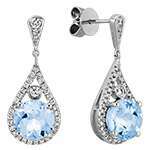 Accented by 28 brilliant round diamonds, this gift guarantees that she’ll sparkle even more than she already does. Wouldn’t you like her go-to accessory to be something that you gave her? 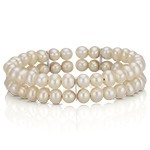 If she’s lucky enough to drape these gorgeous bracelets around her wrist, then she has that go-to accessory. This diamond tennis bracelet in 14 karat rose gold is covered in superb sparkle with 80 round diamonds with an approximate total weight of 1.71 carats. It pairs beautifully with this diamond tennis bracelet in 14 karat yellow gold with 95 round diamonds at 0.92 total carat weight. 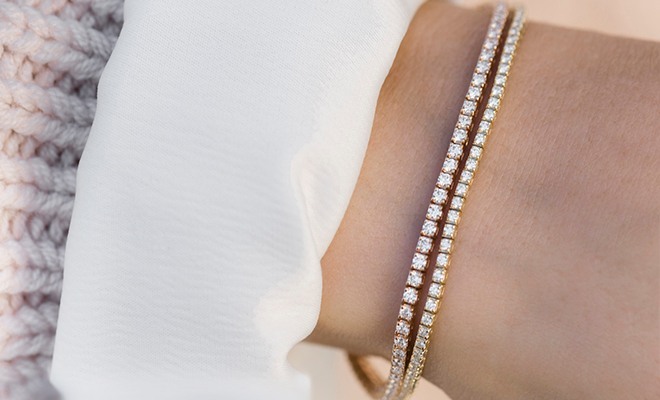 Every single diamond on these bracelets is hand-selected for superior sparkle and brilliance. 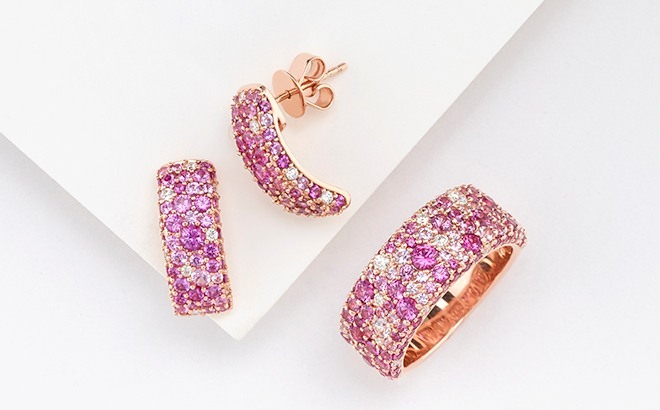 She’ll stand out from the crowd with these stunning pink sapphire and diamond statement pieces. Surrounded by 14 karat rose gold, these shimmering earrings feature 100 round pink sapphires and 18 round diamonds. Pair those with a matching ring featuring 121 round sapphires in various shades of pink along with 16 brilliant round diamonds and, believe us, the compliments won’t stop. Maybe you’re not in the market for a necklace, earrings or bracelet this Valentine’s Day. 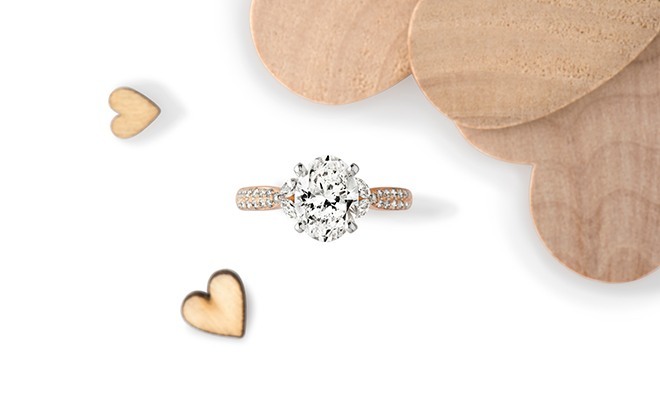 Maybe you’re looking for something with more meaning and even more sparkle. If you’re planning to propose, look no further than this breathtaking cathedral pavé-set diamond engagement ring in 14 karat yellow gold. This ring highlights 30 round diamonds and four marquise diamonds that are sure to complement any woman’s style. The center gemstone of your choice will look brilliant in this sparkling ring design. 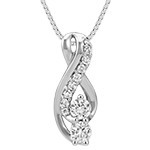 Give the gift of forever this Valentine’s Day. 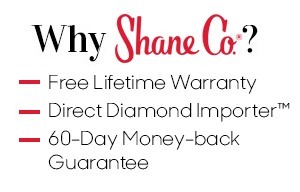 Find more sparkling gifts for your valentine online at ShaneCo.com.